DON’T MISS OUR JUST MMA HONG KONG 3 BEHIND THE SCENES VIDEO! JUST MMA Hong Kong 3 Behind Scenes Video! 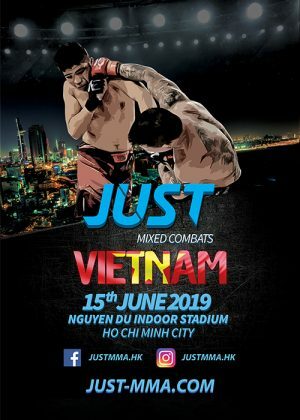 JUST MMA Hong Kong 3 Results! On March 16th 2018 JUST CKF came together in Wan Chai Southorn Stadium for a night of patriotic thrills. Featuring a line up of Hong Kong warriors of all levels – from JUST For Good Charity Fighters, Amateurs to international professionals and even World Champions. Don’t miss the next JUST CKF – Hong Kong 3 happening September 7th 2018. Subscribe to our newsletter launching this May or like and follow our Facebook.